Nikon School Website Is Offering A Refer & Earn New Offer Where You Can Earn Free Gifts Just By Refering Your Friends. You Can Refer Unlimited Friends & Best Part Here Is Their Is No App To Download & No Number Verification. 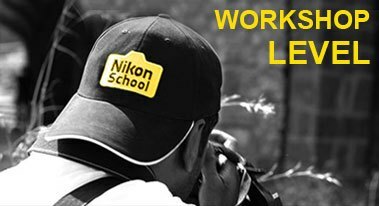 Nikon School Last Time Provides Free Chain & Now They Are Giving This Awesome Refer & Earn. 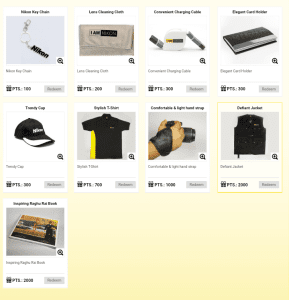 You Can Redeem Prizes As Chain , Hat , T-Shirt , Book & More. As Sign Up You Will Get 50 Points & Their Is 25 Points Per Refer. 2. Enter Your Original Email address and password. NOTE :- You must have to verify your email address. 5. Enter Your Name, Address, City, Postal and Date Of Birth. 6. Agree to Terms and Click on RegisterButton. 7. Now Go to your Mail and Just Activate your Email address. 8. Login with your existing details and you will get 50 Points on Sign Up. If You Not Get Verification Email , Go To Ligin From Menu & Click Send Verification Email , Now Enter Your Email & Send. 4. Now Visit Refer & Earn From Menu. 6. Start Sharing With Friends & Get 25 Points When Friend Sign Up & Verify Email. 7. Refer Unlimited Friends & Earn Unlimited Loyality Points. How To Redeem Prizes ? 1. On Refer & Earn Page Click On Redeem As Goodies. 2. Now Choose Your Favourite Product. 3. Redeem It According To Your Points. 4. You Will Get Product Within 15 Days To Your Doorstep. 5. Minimum Redemption = 100 Points.